As we settle in for winter and quiet ourselves after the holiday bustle, take some time to be in the kitchen, the heart center of the home. Comfort yourself and others with food that is simple, yet feeds your soul. Long simmering stews or soups are perfect for this task, plus they are wonderful to share. 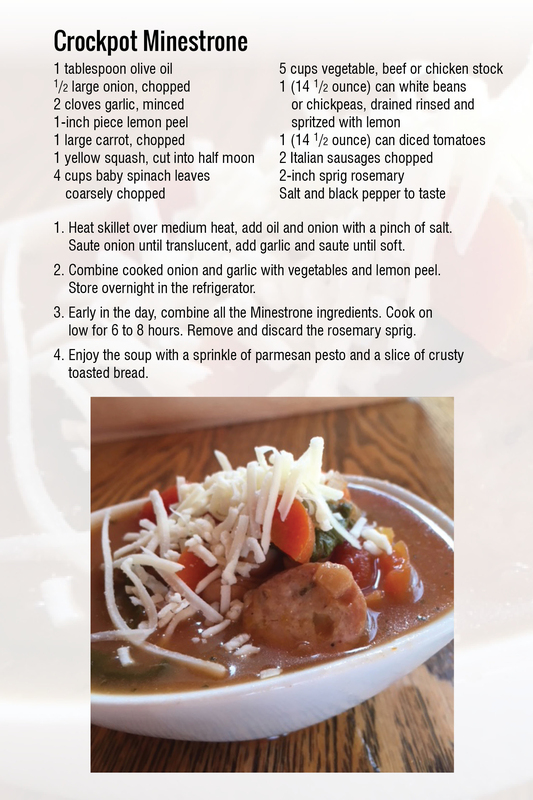 So treat yourself and someone else in your life to this delicious Crockpot Minestrone with pesto. It’s sure to warm you and those you gather with. 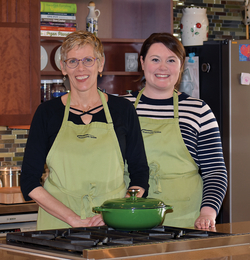 Jo Cessna and Rachel Koroscik teach classes on healthy eating, cooking, and lifestyles at the Leishman Center at Kishwaukee Hospital. Visit www.Kish-calendar.nm.org for class information and schedule.